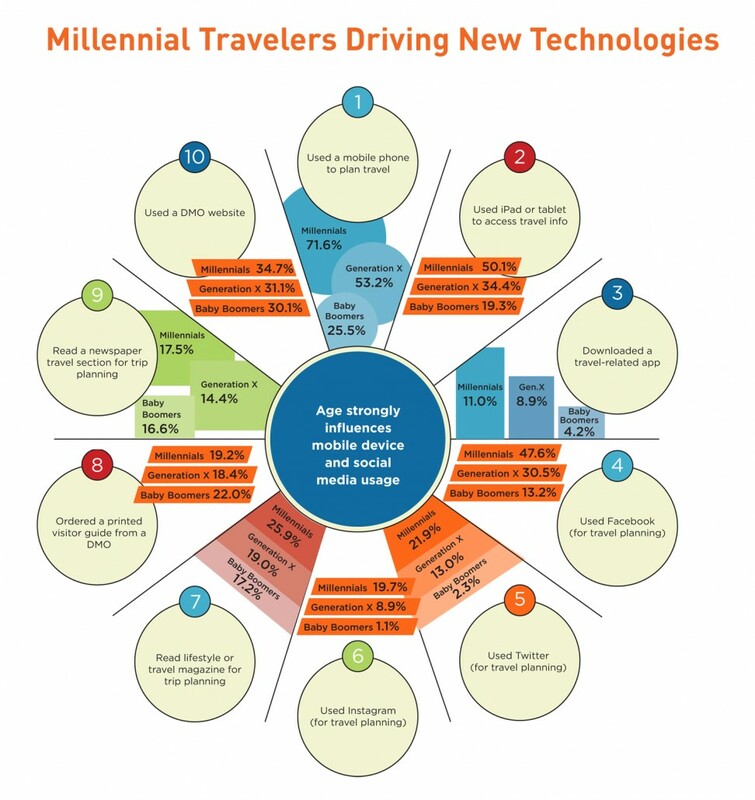 If you have any doubt that the Millennial Generation is the driving force behind the adoption of new technologies in travel industry, take a look at our latest State of the American Traveler infographic. It’s interesting to note, too, that Millennials use more traditional information sources at similar rates as their older counterparts. Source: State of the American Traveler, July 2014. Destination Analysts, Inc.